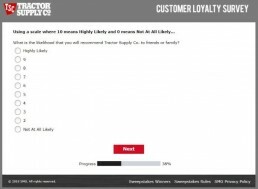 Tractor Supply, one of America’s leading hardware retailers (that doesn’t sell tractors! ), wants to know your feedback. 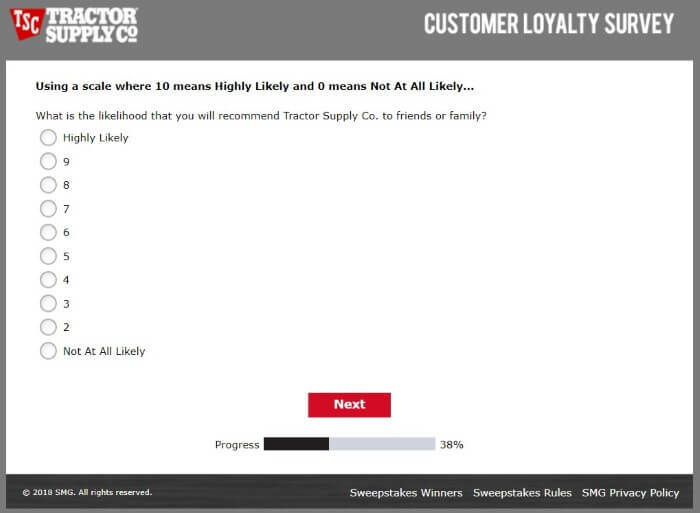 They’re hosting an official survey called TellTractorSupply! Answer their questions and win a $2,500 Gift Card! All done 🙂 Not too many, but still make sure you follow them! And you’re done! A $2,500 Tractor Supply gift card could be coming your way shortly 😀 Good luck! 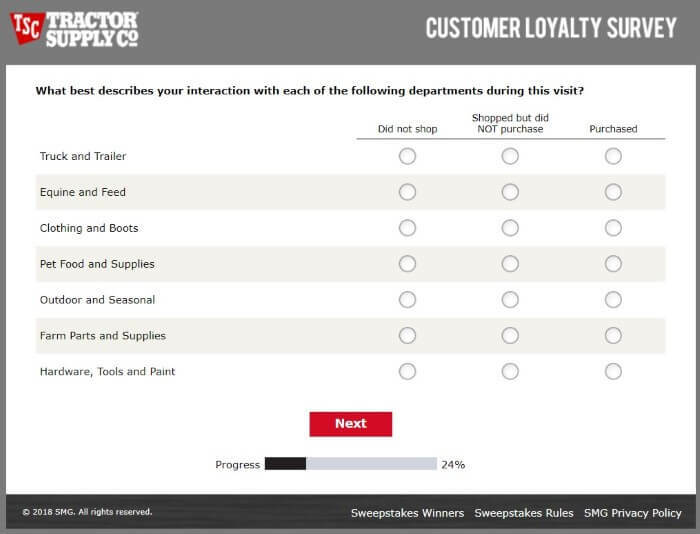 What was your overall satisfaction with your experience at Tractor Supply? Did a staff member greet you when entering the store? Did they recommend a product for you? Was the team member knowledgeable about the products they had? How was the speed and ease at the checkout? Was there an adequate variety of merchandise at the store? 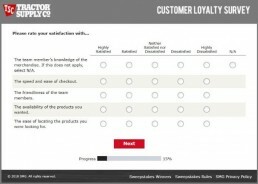 Was the overall cleanliness of the store to your satisfaction? 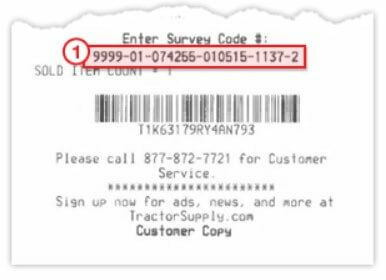 Are you going to return to this Tractor Supply in the next 30 days? 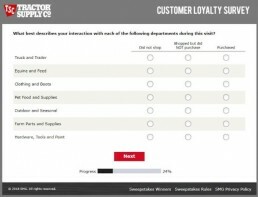 What’s the likelihood that you’ll recommend this Tractor Supply store to friends? Tractor Supply is one of the leading home improvement stores in the US today with over 1,765 stores across 49 states in the US. That’s an incredible presence. They’ve even been labelled as ‘Amazon Proof’ by Forbes, which is pretty impressive in today’s world. They target themselves at more rural-based customers; those who own ranches and farms, though they also supply local tradesmen thanks to their expansive range of tools and home improvement products. The company was founded back in 1938, where, you might have guessed, they specialized in ordering parts for tractors. 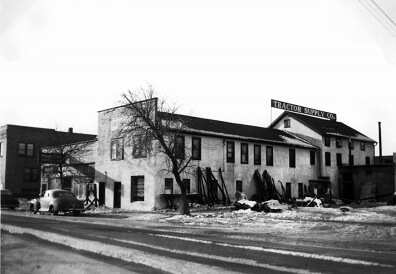 Initially, they were a mail order company, but one year after starting the business, their first actual store was opened in North Dakota by owner Charles E. Schmidt Sr. In 2004 they really started to grow, and they were featured in Fortune’s fastest growing businesses. In 2016 they purchased Petsense, which was the leader in pet supplies which makes it no surprise then that these days, one of their more successful departments is livestock and pet products which is where 47% of their business comes from! They have expanded far beyond their roots of tractor supplies offering a whole host of products, including clothes, hardware and tools, lawn and garden accessories and basically anything you can think of when it comes to home improvement. Tractor Supply’s giving back program is known as their “Out Here” lifestyle which is an overall part of their mission. In 2017 alone, they donated almost $8 million to community organizations. They focus their giving back incentives in three main areas; Agriculture, Pet and Animal and of course, Community. It’s no surprise that agriculture is up there, as their original business was designed to help those in agricultural trades who lived too far away from large towns to access necessary farming tools. 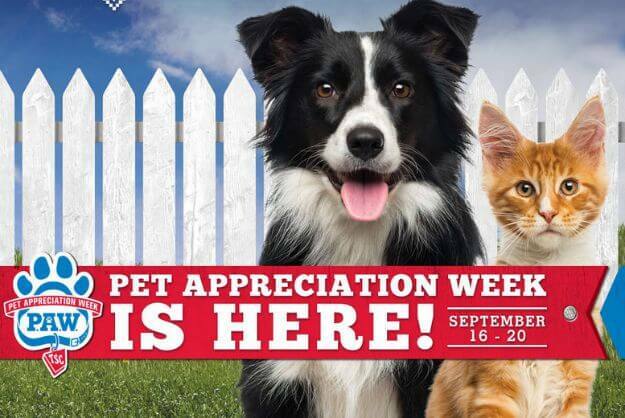 As part of their pet and animal giving back category, they host Pet Appreciation Week (PAW), to help bring awareness on how to properly care for your furry friends and they even assist to help rehome animals from local rescue centers. On top of that, they supply dog food to the service animals of paws4people and offer veterinary care through their PetVet Clinics that are in 1000 of their stores. As a dog lover myself, my heart melts just writing this out. This is definitely going to improve the feedback I leave for them! Where are they heading next? 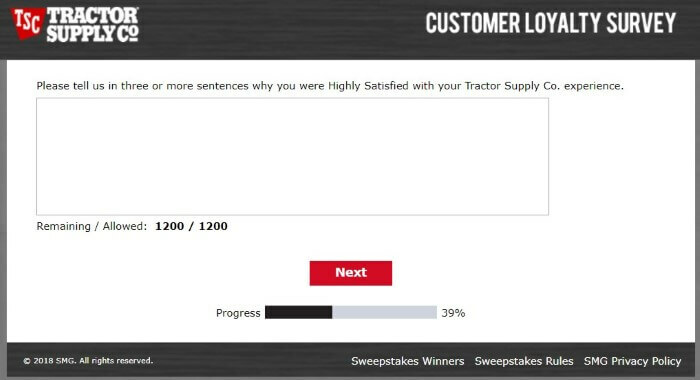 What Do Other People Think About Tractor Supply? @TractorSupply Beyond disappointed in management at Tractor Supply Moorpark, CA for not honoring my friend’s 15% discount offered to Woolsey Fire victims. She lost EVERYTHING in the fire! Totally disgusted! 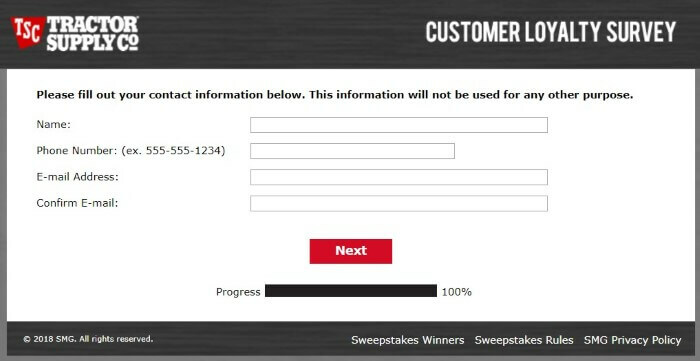 You just lost 2 loyal customers. What do you do when you have $40 burning a hole in your pocket? You can also give them a call on 877-718-6750. 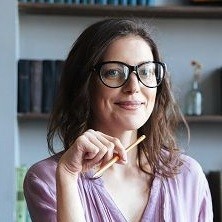 Or, have a read of their FAQs to see if your question has already been answered. 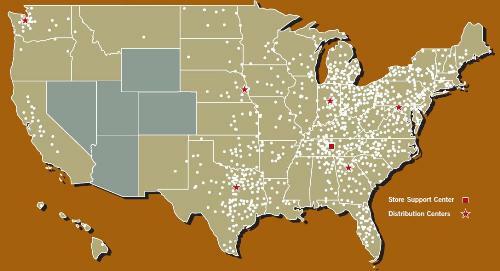 Otherwise, use their store locator to find the closest one to you and get in touch with them directly.